Are you an Oklahoma teacher looking for a perfect activity to supplement your curriculum and all you keep finding is activities aligned to the Common Core? Well now with this detailed document you will be able to match CCSS to the OAS that you are teaching and reviewing in your classroom. 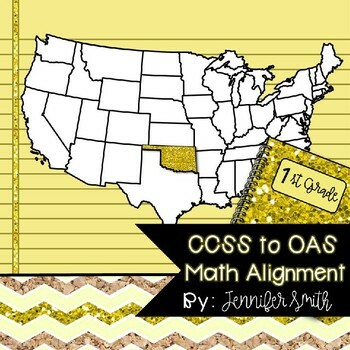 I can’t tell you how many emails I receive on the daily asking if I have done an alignment for Common Core State Standards (CCSS) to the new Oklahoma Academic Standards (OAS). Well, I am happy to tell you that they are now ready for you to use! Please note that some standards are in other grade levels and some will not be covered in CCSS as they are OAS only. Enjoy the alignment document and happy teaching! Looking for Other Grade Alignments?